When the Richardsons' friends attempt to adopt a Chinese-American baby, a custody battle erupts that dramatically divides the town and puts Mia and Mrs. Richardson on opposing sides. Suspicious of Mia and her motives, Mrs. Richardson becomes determined to uncover the secrets in Mia’s past. But her obsession will come at unexpected and devastating costs to her own family - and Mia’s. 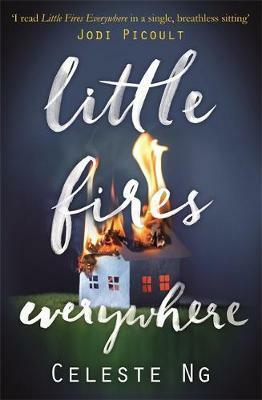 Little Fires Everywhere explores the weight of long-held secrets and the ferocious pull of motherhood - and the danger of believing that planning and following the rules can avert disaster, or heartbreak.